Composition book features a sturdy hard cover that protects the contents and endures daily wear and tear. Center-sewn sheets stay permanently fastened in the black and white marble cover. Light blue ruling on both sides of white sheets provide ample space for notes while the red margin line on the left side is a helpful guide to keep your notes looking neater. 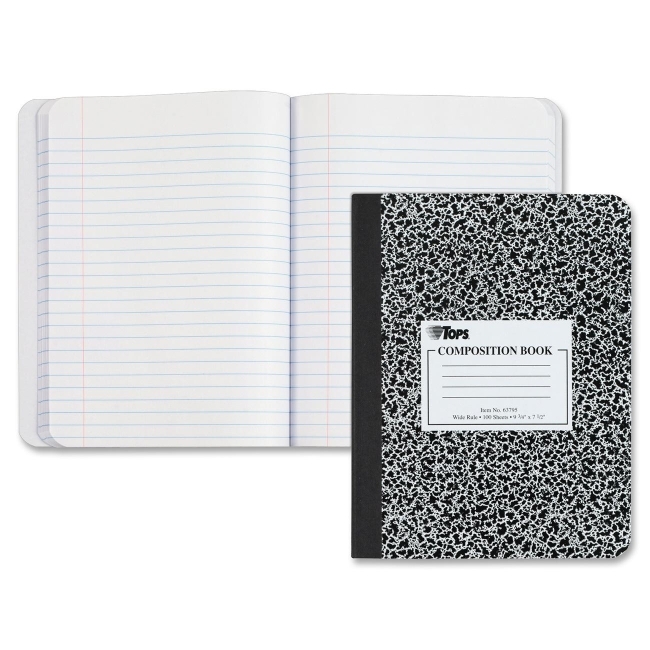 Bound on the left side, composition book contains 100 sheets of legal/wide-ruled paper.